Add a little decadence – serve champagne with your finger sandwiches…or any sandwich for that fact! 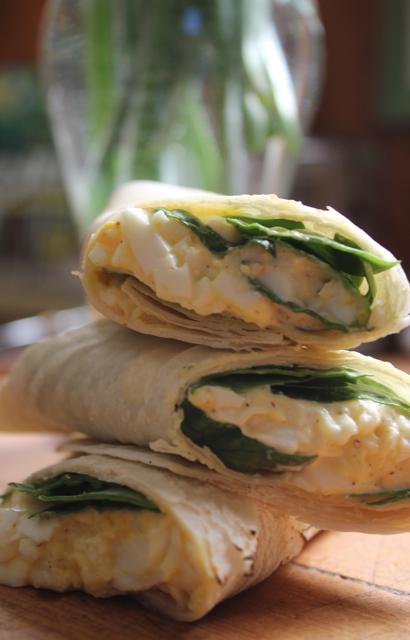 Not only is egg salad good for just about any day, but it’s also perfect for picnics (keep chilled of course – sandwiches and champagne) and meals on the go. 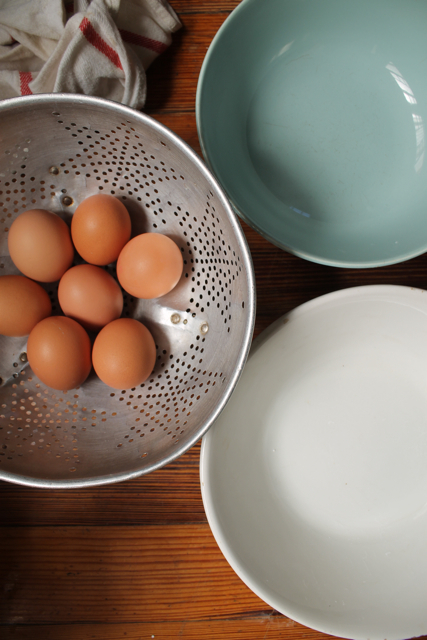 It’s inexpensive (even with organic eggs), requires little time and the ingredients are common to most. Get the kids involved. Peel, smash, enjoy. 7-8 eggs, hard boiled and peeled. 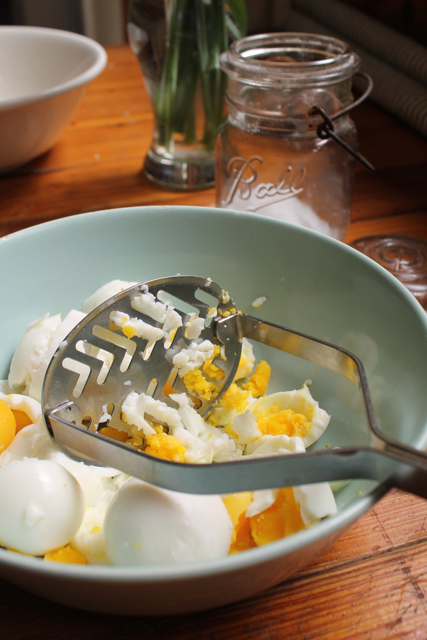 Smash eggs with masher (this makes them super fluffy). Serve on sliced bread, rolled in a tortilla or on a Portuguese roll. Don’t forget to include fresh greens too! Now, where is that champagne? This entry was posted in cooking recipes, eating, everyday life, home, simplicity and tagged DIY, eating, eggs, family, food, healthy recipes, lifestyle, photography by ripe red berries. Bookmark the permalink. Love egg salad! I think this makes recipe number 4 for this standard with different ingredients. I just love simple things like this that you would think everyone would make the same–but it goes back to family, I think. We put in sweet pickle relish and yellow mustard. I’m gonna try yours, though. The English mustard sounds intriguing. 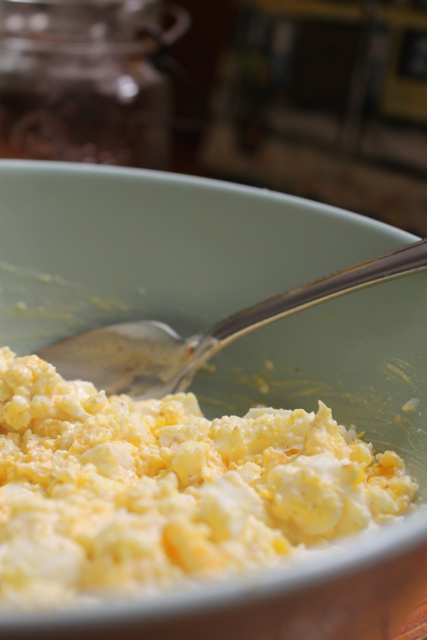 Glad to know another lover of egg salad…its simplicity is what makes it so good, isn’t it? I thought about adding a list of ‘additions’ and pickles were one of them as well as relish…not that I add them, but I know others do – most definitely a family influence, I agree. Let me know what you think of the English mustard…I’ll have to try adding sweet pickle relish and yellow mustard!